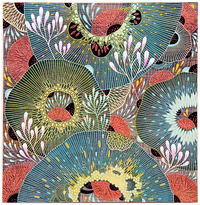 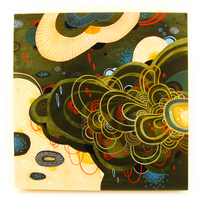 Yellena James grew up and attended art school in Sarajevo. 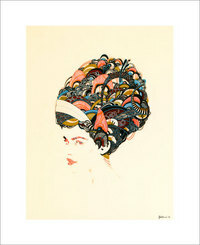 At the age of 18, she moved to the United States. 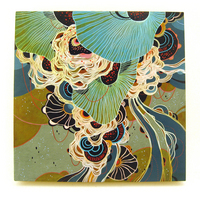 After gaining her BA in painting and graphic design at UCF, she eventually made her way to Portland, OR. 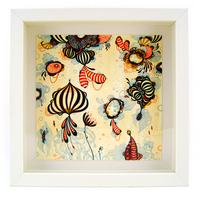 Preferring pens, inks, markers and acrylics, Yellena combines complex abstract forms into dazzling images which take on lives of their own. 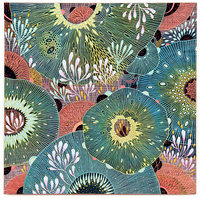 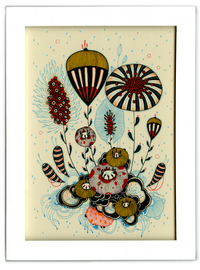 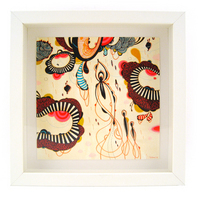 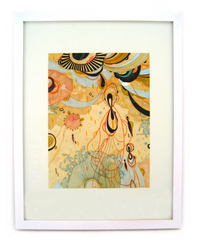 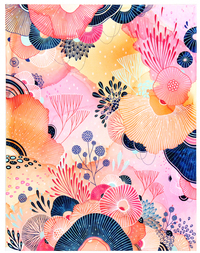 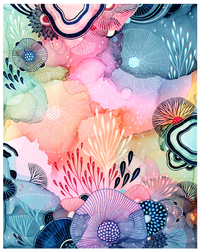 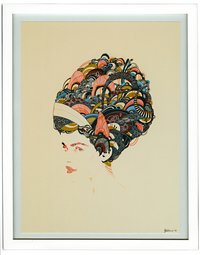 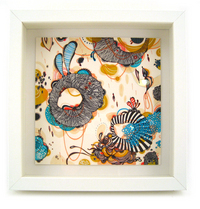 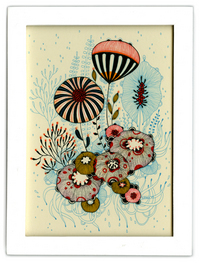 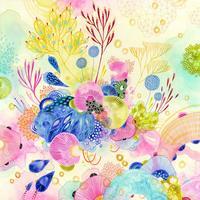 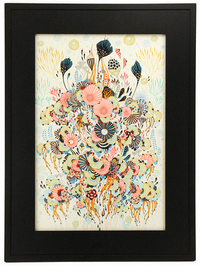 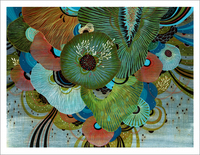 Her colorful arrangements of organic shapes and tangled lines are at once floral and alien, organic and sci-fi. 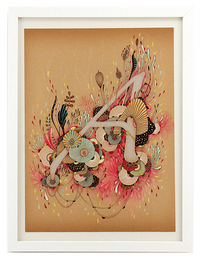 She has been featured in both solo and group exhibitions at Giant Robot, Japanese American National Museum, Gallery Hijinks, and Gallery Nucleus.